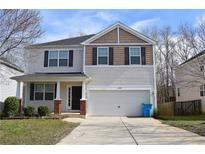 Find Harrisburg, NC Foreclosures for sale. View Photos, Maps and MLS Data Now! Canterfield Estates - There is a covered front porch and a deck in the rear. MLS#3403613. Rucker Real Estate Inc.